Techie Teacher Thoughts: Why spend money when you can get it for FREE? Why spend money when you can get it for FREE? Teachers and administrators are so quick sometimes to spend money on a resource or product. In several cases, they could get the same thing for FREE if they just did a little research online. Below are just a few of the resources I have found that are FREE and a great addition to classrooms. Khan Academy is a large catalog of instructional videos on topics related to math, science, and the humanities. These videos can be viewed on the computer or iPad via their free app. These videos provide another way of viewing a topic or subject. You don't have to create an account. Simple go to the website and look for a video that matches what you are teaching. This would be a great resource for your advanced students to move ahead in math or your science fans to learn more about a topic or concept. 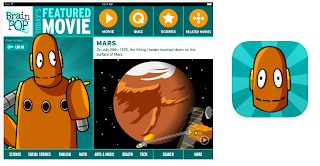 Yes, Brain Pop and Brain Pop Jr are both subscription accounts, but they do offer free videos. These instructional videos can be integrated into your lessons and activities. 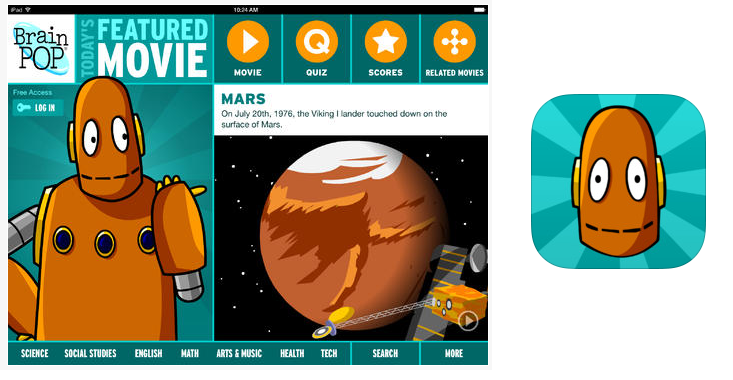 Both sites also have an iPad app that shows a featured movie everyday. If you have a Promethean Board or ENO Board in your classroom, you will want to create a FREE account on Promethean Planet. This website provides FREE flipcharts created by teachers like yourself that can be downloaded and edited to fit your classroom's needs. Promethean Planet also offers ActivTip videos, which are quick PD videos on the various ways you can use the software in your classroom. If you have a Mimio in your classroom, you will want to create a FREE account on Mimio Connect. this website provides FREE inkfiles created by teachers like yourself that can be downloaded and edited to fit your classroom's needs. Mimio Connect also offers PD webinars on various ways you can use the software in your classroom. Ask your fellow grade level co-workers what they have found or created for IWB use! If you do a search within the iBooks store, you will find free textbooks created by the CK-12 Foundation. These textbooks include upper level science and math resources. These resources can also be found at CK-12 Foundation's website. You will find both CK-12 content and user created content, which includes books, videos, practice problems, and real world application. Do you use any free resources for your classroom? Share them with us so that we can all save a little money! Is it an idea or just a thought? Always learning new things .. YAY!